Liposuction is one of the most popular plastic surgery procedures. It’s good to know how recovery look like, if you have had or are contemplating liposuction. We have prepared 10 practical tips that will help you after liposuction. You need to remember that liposuction is a surgery and may involve some degree of risks and complications afterwards. Hence, it is of uttermost importance that you are explained all steps in a recovery process. If you have any doubts, do not understand something, or are not sure whether you can or cannot do certain things, do not hesitate to ask your doctor in Poland about it. All your questions will be answered and explained, as a result of which you can minimize the risk. Even if your anxiety seems unwise or trivial for you, do not refrain from asking about anything. Also, when some doubts arise after you come back home, do not hesitate to contact your surgeon or adviser from Beauty Poland. We would like to do our best so that your liposuction abroad as well as recovery process are as safe as possible. Check 10 myths and facts about liposuction. Even if you feel good after surgery, it is vital that you rest for several days after surgery. After you come back home, you should rest for several more days, which means that you need to take about 2 weeks off your work and during this time avoid strenuous activities and relax as much as you can. Of course, your surgeon will tell you when you can return to work, as it also depends on the complexity of the surgery. But some days off are always advisable and this time of relaxation at your home undoubtedly fastens the recovery process. After the liposuction surgery in Poland, your doctor will provide you with the special compression garment which you should wear as long as the doctor tells you. It will shape and maintain your body contour, minimize bleeding, swelling and bruising, and keep pressure and circulation on your body parts. 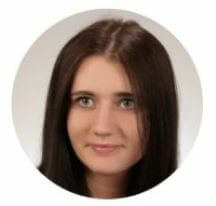 The price for your liposuction in Poland includes a garment, so you do not need to purchase it on your own. Your surgeon will probably prescribe for you some antibiotics in order to avoid unnecessary infections after your liposuction. In this case, you should follow doctor’s instructions about taking the pills. Sometimes antibiotics are not obligatory, but you will discuss it with your doctor in Poland. If you feel pain or swelling after surgery, do not worry because it is normal. Also, you can by all means take painkillers to minimize the discomfort. You can also ask your surgeon which medications to take and he might prescribe them to you. The pain should disappear up to 2 weeks after the surgery. If you have taken any medications regularly before the surgery, ask your surgeon when you may start taking them again. The sooner you start walking after the surgery, the better for you. While your doctor will not allow you to practice sport for the next few weeks, he will encourage you to walk as soon as you feel ready for that. Not tiring, gentle activity is recommended and helps you heal. Hence, walking seems to be the best solution, and even when you still rest at home, do not avoid walking around. Excercise after liposuction surgery – check our article. 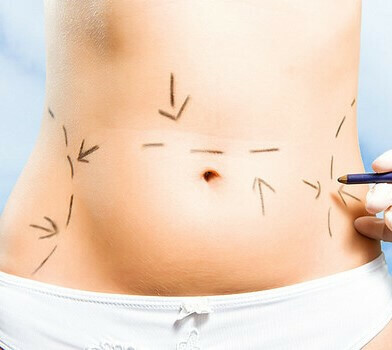 Some liposuction methods involve making incisions and you should take a proper care of them when you return home. You still might have stitches, which will require your proper attention. The doctor will tell you when to change bandages, how to clean the incisions, and will give you other instructions, e.g. about exposing the incisions to sun. Remember that if you have any doubts, you can freely ask your surgeon about everything. 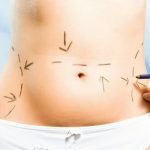 Your liposuction may allow for using dissolvable stitches, which do not need to be removed, but the surgeon can also use regular stitches for closing the incisions. In this case, your surgeon will tell you when exactly you need to go to a doctor to have the stitches removed. When stitches several days after your liposuction, the doctor may advise you stay in Poland and then he will remove the remaining stitches in your clinic in Poland. Your surgeon will explain to you what you may experience after the surgery. This may be some pain, bruising, bleeding or swelling. But any other signs of complications you notice need to be consulted with the doctor, because it might be an infection. Ask your surgeon what symptoms should be regarded as worrying and he will explain it to you. For example, when you have a fever, breathing problems, much bleeding or skin-recoloring, you should contact the doctor. You need to be aware that you will not see the results of your liposuction abroad immediately. For some time your body parts will be swollen and bruised, so the effects will not be visible. On average, the final results appear after the recovery process, which is after a few weeks. Bear in mind that the more carefully you follow the doctor’s instructions, the sooner the effects will appear. How long can you expect your liposuction Poland results to last?